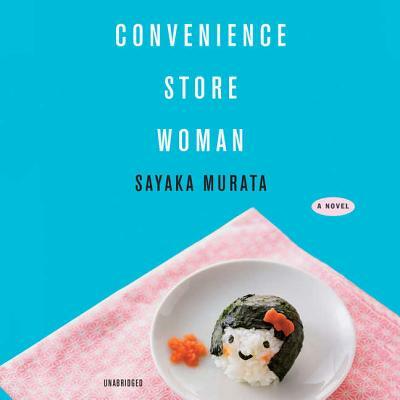 Thirty-six-year-old Tokyo resident Keiko Furukara has never fit in--neither in her family, nor in school--but when at the age of eighteen she begins working at the Hiiromachi branch of national convenience store chain Smile Mart, she realizes instantly that she has found her purpose in life. Delighted to be able to exist in a place where the rules of social interaction are crystal clear (many are laid out line by line in the store's manual), Keiko does her best to copy the dress, mannerisms, and mode of speech of her colleagues, playing the part of a "normal" person excellently, more or less. Keiko is the perfect employee--never late, always worrying about how to maximize sales, brilliantly conscientious, and highly energetic. Managers come and go but Keiko remains at the store for eighteen years. It's almost hard to tell where the store ends and she begins. Keiko is very happy in her life, but the people close to her, from her family to her coworkers, pressure her to settle down with a man and to find a proper profession. Eventually, she is pushed to make a huge change. The static world of Keiko is upended--but will it be for the better?A brilliant depiction of an unusual psyche and an extraordinary world, Convenience Store Woman is both an ironic and sharp-eyed look at contemporary work culture and the pressures to conform, as well as a charming and completely fresh portrait of an unforgettable heroine.